This is a very strange time for D&D as a product line. 4th Edition is all but finished with the announcement and public playtest of D&D Next. I’d guess that most groups are playing either 4th edition or Next, and for both of these editions, there are few or no products on local game store shelves. In the interim, Wizards of the Coast has dug deep within the vault of the past, releasing definitive premium versions of classic material from many editions, as well as re-entering the digital release realm at dndclassics.com. I never thought I’d see a “new” 1E Player’s Handbook sitting next to a fully updated 3.5 Player’s Handbook at my game store on the current release shelf, but that’s exactly the situation we are in right now. Into this bizarre and rather random release landscape comes a unique series of games: Dungeon Command. I wasn’t too sure about this series when it was announced, but after playing several games with my Curse of the Undead set against almost all the other boxes, I have changed my mind. A dice-less tactical miniatures game with card driven combat is interesting, and the different factions are fun to play out of the box, even if you ignore the customization options available if you own multiple sets. If the large area dedicated to the game at my local store is any indicator, the game has been a success on its own merits. For many of us, though, the real appeal of Dungeon Command is using the components at our role-playing tables. I began this blog just over two years ago, a few months after the final D&D Miniatures set, Lords of Madness, was released. It was a good time to buy these minis, with many sculpts available for $1 or less. Since then, however, the stock has dried up, and many of the cheap options I suggested in my first D&D minis post have gone out of stock or are several times more expensive. The Adventure System games are a good option, but unless you are willing to paint them yourself, they just don’t compare to prepainted minis. Thus, the release of the Dungeon Command sets is a godsend for gamers who want good looking painted minis without breaking the bank. By far, the best part of Dungeon Command is the thematic nature of the sets. You know exactly what you are getting when you purchase a box. No more blind packs, where you really want more goblins and open a yuan-ti instead. Dungeon Command features groups of foes that would likely be used together in actual D&D adventures. You can tailor your purchases to match what you have planned in your campaign! Here are my recommendations. Heart of Cormyr – This would make a great first purchase for a new campaign. Almost all of the minis represent common player character races. They would be equally useful as NPCs. The earth guardian looks great, and there’s even a copper dragon which can fill many roles in a pinch. Sting of Lolth – if you ever plan to visit the Underdark, this set is a must. Spiders show up in many different environments, of course, and the Umber Hulk is one of the best looking minis in any of the sets. The drow can represent many different evil NPCs if you squint your eyes just right. Tyranny of Goblins – a fantastic set that fills needs in most campaigns. Goblins and their kin are common at most D&D tables, and you can always use another wolf. The troll is magnificent, but the horned devil is the superstar, and could be used to represent all manner of nasty opponents. Curse of Undeath – Probably the best value in the entire line. Zombies and skeletons are useful across all levels. Three minis in particular make great “boss” encounters: the lich necromancer, the disciple of Kyuss, and the dracolich. This was the first set I purchased, and I’ve already used most of the minis in my own campaign just a few months later. Blood of Gruumsh – the latest set, unique in that it uses new sculpts, not those recycled from the previous line. The minis have a different look to them, based on concept art from D&D Next. 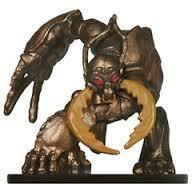 They are gorgeous, and since orcs and ogres are iconic D&D monsters, it’s a great set to pick up. Plus, it has an Owl Bear, what’s not to like? Perhaps the greatest part of Dungeon Command from the perspective of a DM is that the players are encouraged to purchase miniatures when they otherwise have little incentive to do so. There is a full fledged and very compelling tactical game experience inside, not just a pile of minis. I’ve only had to purchase one set myself, since my players have all the other sets between them. If I need spiders, orcs, or dwarves, I just let my players know and they bring their sets to D&D night. DMs typically spend much more than players in D&D, and anything that encourages that the costs can be shared is a good thing. 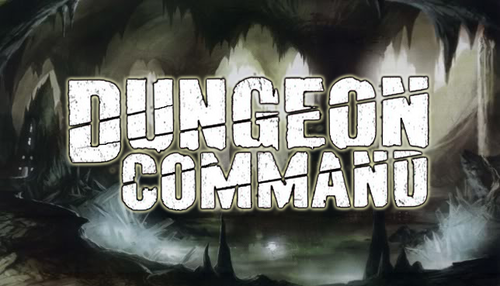 As of this writing, no more Dungeon Command sets have been announced. I must admit I find this perplexing and a bit disheartening. It’s easily one of the most versatile and valuable releases from Wizards in the past two years. For a reasonable price, you get a dozen miniatures in various sizes that are thematically similar. The tiles included in each set are quite useful, too, and can be mixed and matched in lots of ways. Quality miniatures like these are always useful, no matter what version of D&D you play. I am very hopeful that more Dungeon Command sets will come out this year, in the lull before D&D Next is officially released. I share your enthusiasm! What a great product. I’m wondering if the hold up on releasing new sets is because the current rules mimic 4e combat and they would like it to mimic D&D Next. Regardless, all of your points of benefit for D&D were spot on, not to mention that the game itself is fun. I hope we see some new sets soon.